One of my new resolutions for this year is to get stricter with the number of seeds I sow. No – really. I will. (At this point, probably best not to mention the fat envelope full of little packets of RHS seeds I found while clearing out which are just so mouthwateringly gorgeous I can’t bear to let them go). The thing is that every March I pull out the old floppy disc* box I use for keeping my seed packets in, and rifle through the section labelled – rather conventionally – ‘March’. This is where I stuff all the packets of seed I acquire during the year, just as somewhere to put them, really. Result: far too many seeds. And I mean far too many: this year I counted around 60 packets I know for sure I will not have time, space or if I’m honest inclination to grow. No point in keeping all these spare seed packets: but what to do? They’re all within date – some with ‘sow-by’ dates this year but most longer than that – and it seems such a waste just to chuck them out. Nearly all are pristine and unopened: some have lost their outer packets and therefore instructions, but I still know (because I’ve written it on the inner foil packets) the variety and sow-by date. My usual fallback is to offload them at a seed swap, but I’m not planning to go to one this year: last year’s was great but it was a bit of a hike, being in Wiltshire, and I haven’t found one near enough to go to around here (yet). And besides, I’ve already got quite enough seed to sow to be getting on with for this year and – see resolution above – I really, honestly, truthfully don’t need any more. So I thought I’d just… well… give them away, in my own sort of seed swap without the swap bit. 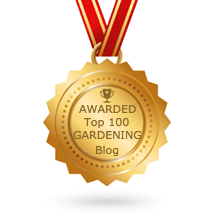 – if you enjoy growing your seeds, please blog about them later in the year if you can! – no more than 10 packets of seed and no more than one packet of the same variety per person. – after the week is up, I’ll divvy up the remainder between those who have said they want more than 10 packets, so do indicate if you’d like to be part of this. *remember floppy discs? Mine were 3 1/2″ and made a whirring noise when you put them in the computer: they seemed the ultimate in hi-techery at the time. The only thing I couldn’t quite work out was why they were called floppy when they were so… well… un-floppy. All in all it was quite a relief when CDs and memory sticks came along and relieved me of having to think about it any more. Floppy disc box – lightweight! I had to go and buy a new big plastic storage box for mine and I have still to add my RHS & HPS seeds. Dear SallyPlease may I have some?I'd like some white foxgloves with purple dots.Some Poppies if they will grow in dry ground and be happy while un-tended during Auguat.CornflowersCoreopsis grandifloraand some wild flowers for beesand some Gaillardia if it will grow in ground which, during summer, has fierce sun for half the day and is in shade for the rest.That would be brilliant! Esther – they're yours :Ddrop me a line by email and I'll send you the address for the SAE.Happy sowing! Hi Sally.. I'd love to have some veg seeds if you have any left, particularly the squash, both toms and both chillis. We get through a lot of those in our house. Also, coleslaw cabbage would be useful if there are any remaining. Thank you. OK Papaver – both varieties of chilli are yours 😀 If you could drop me a line by email I'll let you know where to send your SAE.And Roz – both tomatoes are yours, and I'll send you the runner beans too if you want them? Plus a packet each of the heirloom varieties – though if you want more than one packet let me know as there are plenty! Drop me a line by email and I'll reply with my address for your SAE too. Thanks!